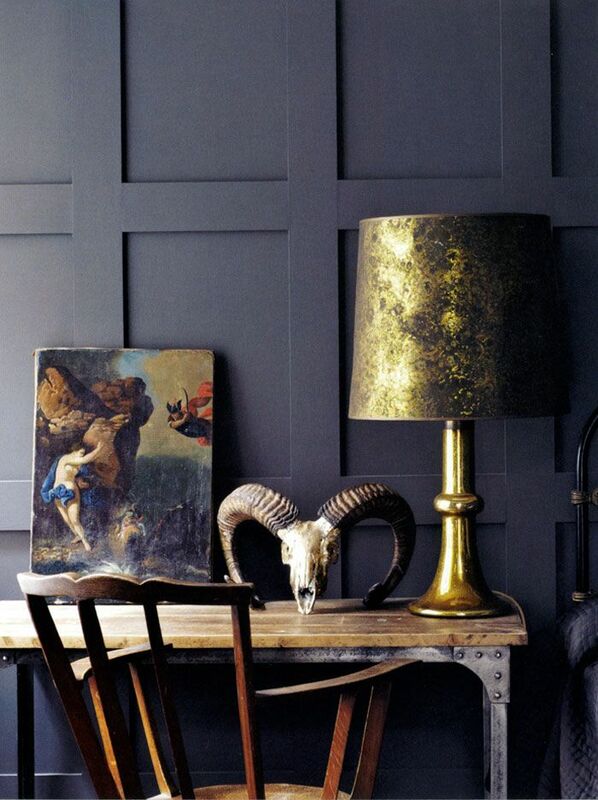 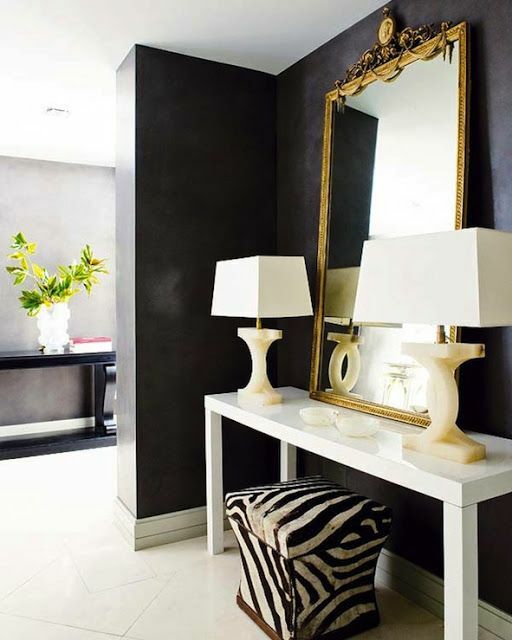 I love the elegance of black and charcoal walls and gold will forever be a favourite. 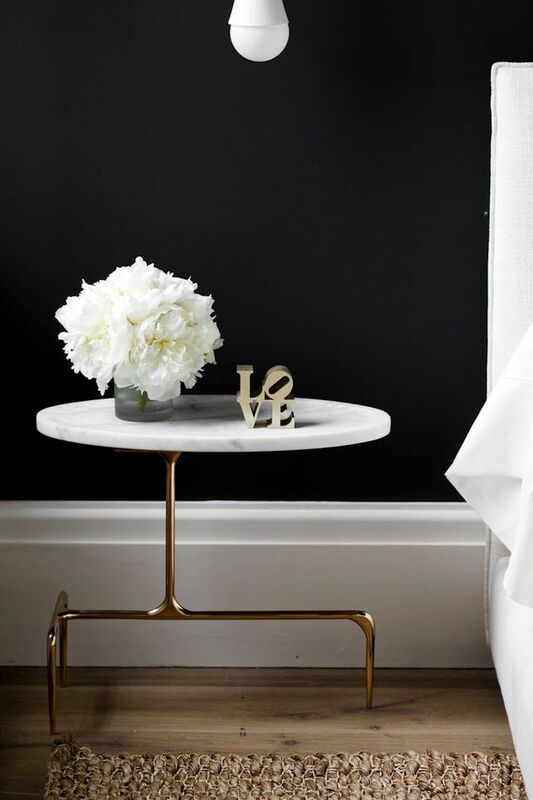 I’m particularly smitten with white accent pieces next them ~ a trio in heaven. 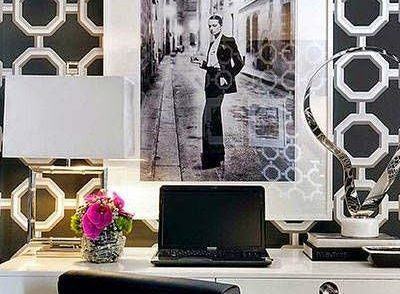 An entire room could be too much so an accent wall in this bedroom is perfect. 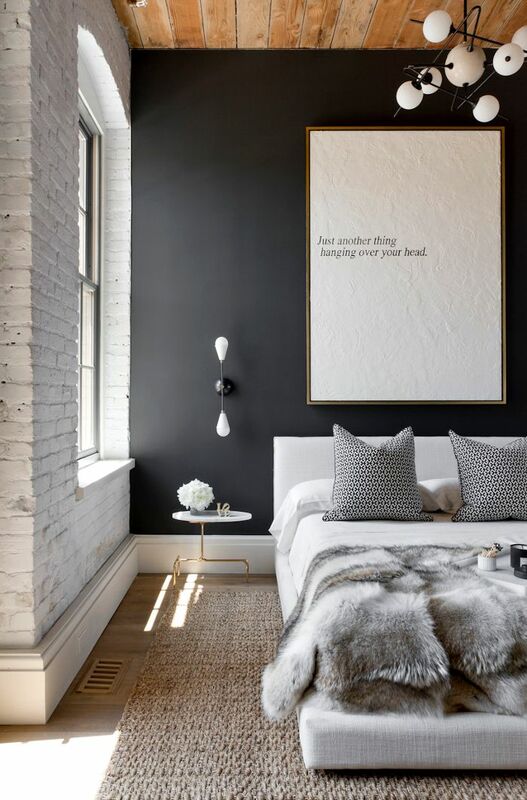 I really love this charcoal matte wall. 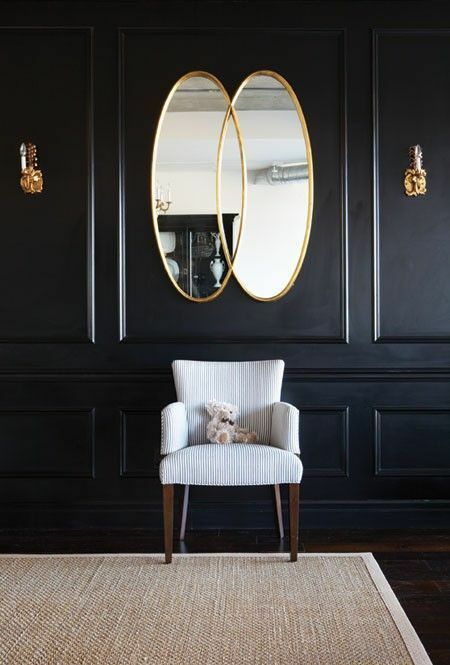 What are your thoughts on black/charcoal walls?